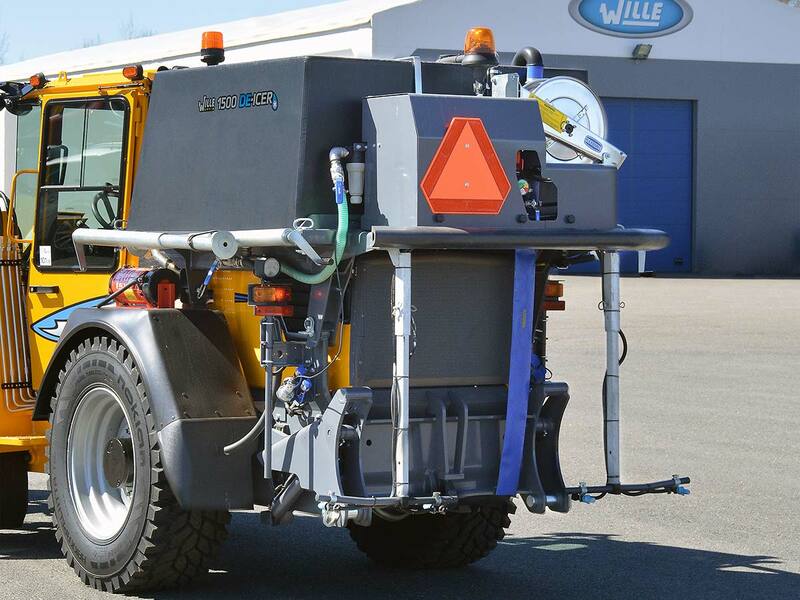 The solution spreader is used for spreading saline solution on streets, cycle paths and pavements, which allows you to keep them free of ice throughout the winter. The amount to be spread is automatically adjusted to the machine’s driving speed. You can choose the working width to be the central area of the spreader, or in addition the left or ride side, or both of them. The attachment is controlled from the display unit located in the cabin. Owing to the multi-hole nozzle, the saline solution does not spread as mist into the air. The baffle plates inside the tank prevent the solvent from splashing when travelling between locations.